Yum! Brands' (NYSE: YUM) Taco Bell may lack Chipotle's (NYSE: CMG) "cool" factor, but it has more than double its sales. The chain is unabashedly fast food. It's not fast casual, nor does it offer "food with integrity" (Chipotle's tagline), or even meat that everyone would agree is always clearly identifiable as meat. Despite that, or perhaps because of it, Taco Bell has grown to $10 billion in annual sales, more than twice the $3.9 billion Chipotle brought in during 2016. This is the chain that once openly courted the idea that its offerings were decadent -- a meal you ate after having already consumed the three that most people have in a day. And, if the Fourth Meal promotion was not bold enough, the company has regularly pushed boundaries with products like its Doritos Locos Tacos and its Naked Chicken Chalupa, a taco variant that used fried chicken as its shell. 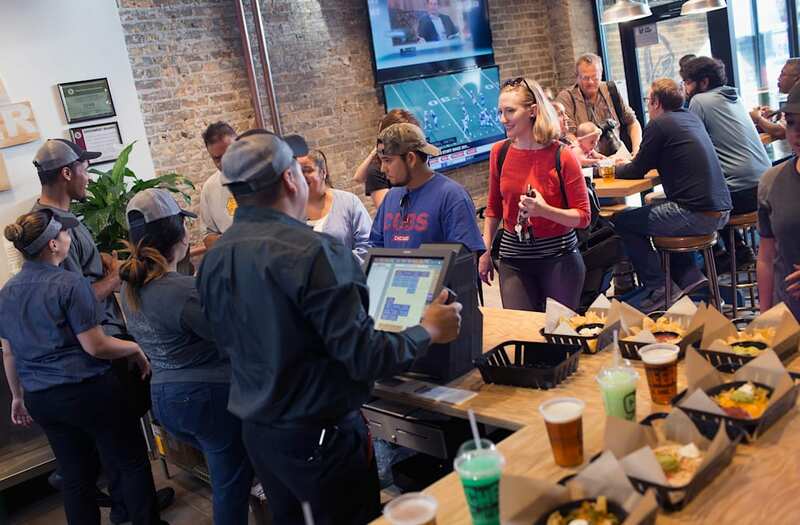 Taco Bell is not a company playing to the "better food" trend like Chiptole is, though it has dipped its toe into that well with its Cantina concept. Instead it's a fast-food brand executing well that knows its audience. The chain believes that's a recipe for success that can take it from $10 billion in annual sales today to $15 billion by 2022. "We have tremendous potential to continue to grow this brand domestically, as well as globally, with our world-class franchise system," said CEO Brian Niccol in a May 25 press release. "We are already off to a great start by continuing with breakthrough menu innovation, digital innovation and diversifying our development portfolio. Our new and remodeled restaurants deliver a Taco Bell 'category-of-one' brand experience for suburban, urban and rural markets." How is Taco Bell going to get there? The chain has been aggressively adding locations and has plans to add another 2,400 or so by 2022, bringing it to around 9,000 locations around the globe. There are currently more than 6,000 locations in the U.S. and the planned U.S. expansion will, according to the company, create over 100,000 jobs in the country. Taco Bell, however, won't just be growing in its home market. It also plans to focus on Brazil, Canada, China, and India, opening at least 100 restaurants in each country by 2022. Currently, the chain has just 350 restaurants overseas. It plans to jump from being in 23 countries to being in more than 40. To support its growth, Taco Bell plans to add concepts and expand on existing ones. This includes adding locations in densely populated urban markets where there is no room for a drive-thru. In addition, the company has completed testing on four new store designs, Heritage, Modern Explorer, California Sol, and Urban Edge. These will be used to redesign existing locations (and in new stores so they reflect the communities they operate in). "Innovation on our menu and building design, along with social experiences are going to fuel our growth," said CFO Liz Williams. "Domestically we're looking at opportunities to increase our penetration in underserved markets while internationally we're evaluating new markets to serve customers we aren't currently." While nobody will mistake a regular Taco Bell for a Chipotle, the company's Cantina concept borrows a bit from its rival, offering fancier food and alcohol. This higher-end version of a Taco Bell first opened in late 2015, with five more locations opening after that. The company believes the Cantina brand, along with its urban inline concept (a modern take on its regular restaurant optimized for city environments), will help it expand further in urban markets. By 2022, at least 300 of the new locations are expected to be of the "urban inline" model. Taco Bell has done a very good job at giving consumers what they want rather than chasing trends. The chain has modernized, improved its menu, and created concepts that work in different markets, but it has not deviated from its core offer very much. The company has proven that the demand for its food exists and there's no reason to think this expansion should not succeed. Adding $5 billion in sales over five years is an aggressive target, but certainly an achievable one. Daniel Kline has no position in any stocks mentioned. The Motley Fool owns shares of and recommends Chipotle Mexican Grill. The Motley Fool has a disclosure policy.